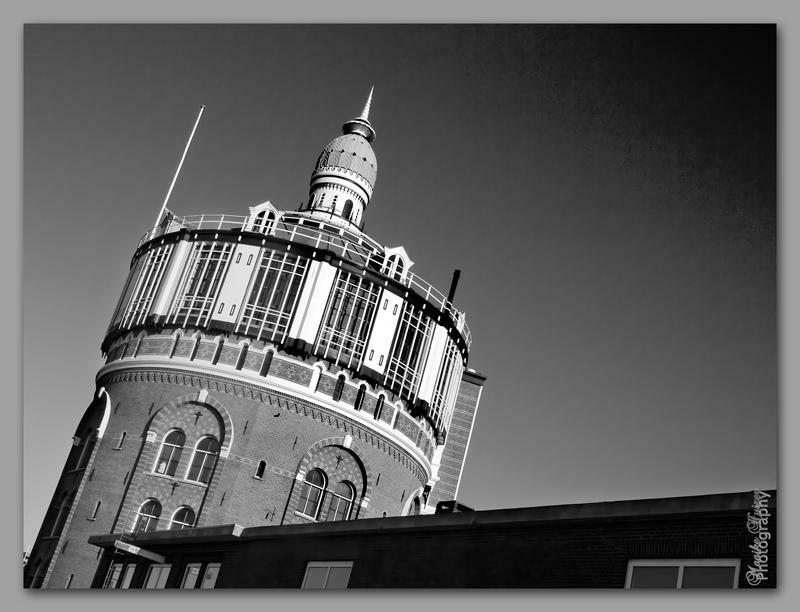 This water tower, the oldest existing in The Netherlands, was designed by architect Van der Tak and built in 1871-1873. For others participating in this month' challenge click here! Crisp and clear, cool pov. I really like the pov here and what a beautiful building! Mooie compositie, lekker scherp en prachtige kleurtonen. A super crisp shot, Maaike! Sharp clear image with an interesting perspective...nice! How ornate! I like this tilted POV!! great perspective,,, is the noise in the sky intentional? I would have never guessed water tower. Great perspective. Strong lines. BAM! Oh my, thids is tack sharp and splendid! Fab work, Maaike! BV! Great perspective. Very good sharp details. Beautiful - I like the tilt frame. Sharp contrasts. Does the towner lean like that? This tower looks lovely in B/W. very sharp and excellent B&W treatment ! thats a beautifull leaning tower. Very crisp! You sure don't want to see the water towers in Texas after seeing this extravagant water tower! Too bad we don't still make such beautiful water towers. This is lovely! Looks so good against the dark sky Maaike! Powerful shot of the building, like the angle as well. I just want to twist my head, interesting composition to create this, very sharp as well. nice shot. A very ornate tower - great B & W!